I am not sure where March raced away to! It is Easter, and today (1st April 2013) I am going to try and stay off line for the entire day – this could be quite a challenge. In the meantime, I have a few things from my kitchen to share with you! Are loaves of bread made from Cordelia. Celia sent me some sourdough starter in the post. The dodgy looking white powder did not garner a second look from customs and as our postal service is on strike in Johannesburg the envelope was not even franked. Funnily enough, despite the strike the envelope was at me within a week of being posted. Celia asked me to name my starter and I came up with the name using Celia’s own name and her blog name (Fig Jam and Lime Cordial for those of you who don’t know her). Cordelia is the daughter of Priscilla and to see more of her siblings, take a look here. 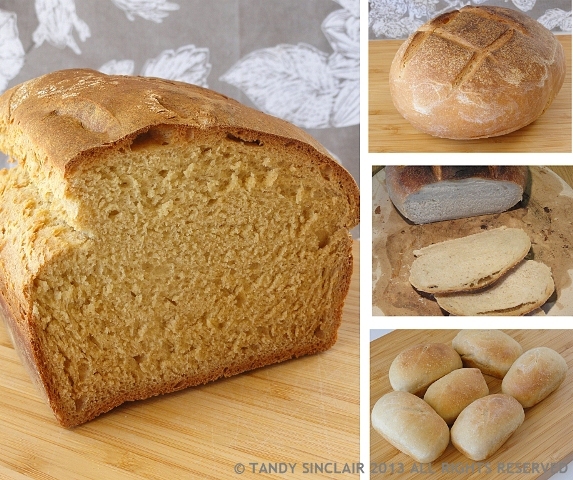 For anyone who lives close to me: if you would like to try sourdough please let me know. I have enough starter to share! is my new favourite toy! This egg topper has been on my wish list for some time now. My sister and I were shopping in Sandton City and she insisted I go into a shop there to take a look at the Kitchen Aid attachments, and while I was browsing I found this! last but not least is the photograph of my fridge! I am also running out of space! Ah the aroma in your kitchen from the breadmaking… I can smell it from here! It’s good to know that Cordelia is doing so well. Priscilla’s family is getting big with children and grandchildren! I love peeping into others kitchens! Will do my IMK post, hopefully, tomorrow! …. and the answers to the Food Quiz! Happy Easter Tandy! Very nice egg topper, have a great week! Ooh, I have to look out for an egg topper – Pete would LOVE one of these. Now, just to find one in small PE. I would like to understand how that egg topper works. Hi Tandy, Good looking bread. How does the egg topper work? 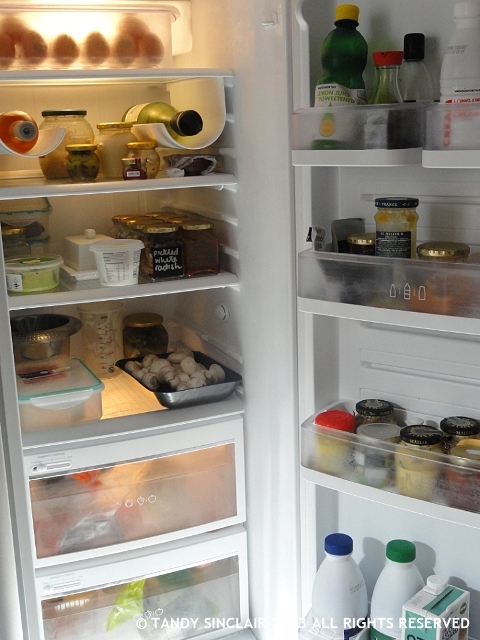 I’m always amazed at how neat neat your refrigerator is…mine is always stuffed. I want to start a business sorting out other people’s kitchens for them!